This is a truly wonderful combination of instruments that you don’t often get to hear in an intimate space. This concert features piano trios for oboe, bassoon, and piano by French composers highlighted by Poulenc, Bizet, and a sadly neglected female composer, Marie de Grandval. 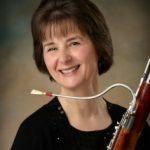 Two wonderful wind players from the New Hampshire seacoast join us for this show—oboist Margaret Herlehy and bassoonist Janet Polk. 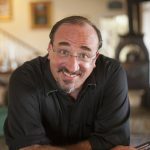 Both perform often in the Upper Valley in the Dartmouth College Orchestra, Hanover Chamber Orchestra, and Opera North. 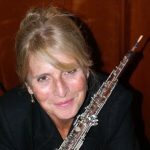 Ms. Polk has also been the bassoon instructor at Dartmouth for many years and has performed often with Classicopia. 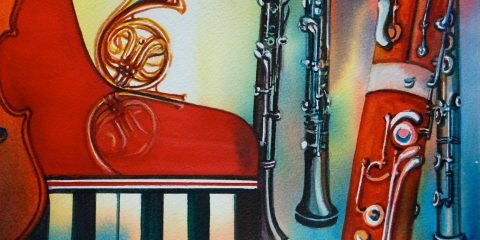 You will be enchanted by this beautiful ensemble of instruments! We return to this beautiful, centrally-located stone Church in the heart of Hanover with wonderful acoustics. Father Brian makes everyone feel welcome to these concerts, which are open to the public. The suggested donation is $20, but all are free to come and offer what they can. This is our first concert in this very intimate Arts Center that was formerly a Church in Sharon, VT. We hope you can join us there as we try to build an audience in a new venue and area. Tickets will be available at the door for $20 general admission and $15 for Seven Stars members. Children 18 and under are free. You can also buy discounted advance seats below. Click on the arrow to get member prices. Click on the yellow Add to Cart button to add multiple seats. Purchase with any major credit card or with your PayPal account. You do not need a PayPal account to purchase seats! Our “home” Church where we have performed many concerts over the past several years. A great acoustical space and terrific piano plus a very welcoming Church community that offers a reception after the concert. Tickets are available at the door or you can buy discounted advance seats online below. Click on the arrow below to buy multiple seats and to see Church member prices. Purchase with any major credit card or with your PayPal account. You do not need a PayPal account to purchase seats!